The School of Human Nutrition (formerly the School of Dietetics and Human Nutrition) is the oldest teaching and research institution in Human Nutrition in Canada. 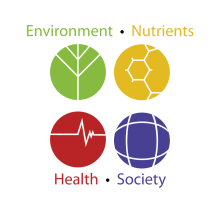 Our primary mission is to improve human health during the life span by training future leaders in the fields of dietetics and nutritional sciences, in food safety and food security, and in global health and international nutrition. The School is home to 10.5 tenure track faculty and to 5 faculty lecturers/clinical coordinators who oversee the dietetics stage/internship placements in Canada and internationally. The School offers both undergraduate and graduate programs. Undergraduate students may choose from one of two undergraduate majors – the Dietetics Major and the Nutrition Major or enroll in the Concurrent Degree/Dual Major and graduate in 4 years having earned both a BSc (Food Science) and a BSc (Nutritional Sciences). Recently a new multidisciplinary major in Global Food Security was added to the curriculum. The School also offers graduate programs leading to either MSc (Applied), MSc (Thesis) or PhD degrees. A graduate route to Dietetics credentialing is available to eligible graduate students. International training in food and nutrition is available for students through their dietetics stages,or with the Barbados Interdisciplinary Tropical Field Studies (BITS), African Field Studies Semester, in Sustainable Agriculture and Food Security in Cuba and with the growing number of international placement sites in the Caribbean (CARICOM), in Ghana and at various field sites in the USA, Asia, and Latin America. Research expertise in the School is multidisciplinary and broadly based, ranging from the bench to the bedside and from the cellular to community levels. Research themes include maternal and child nutrition, interaction of diet & genes with nutrient metabolism, Indigenous Peoples’ nutrition and food safety, nutritional status & food security in developing countries, nutritional interventions to minimize chronic diseases including obesity, diabetes, osteoporosis, and cancer, and clinical applications of nutritional interventions in hospitalized patients. Research is conducted in our on-site research sites on the Macdonald Campus including the Centre for Indigenous Peoples' Nutrition and Environment (CINE), the Mary Emily Clinical Nutrition Research Unit, as well as McGill University Health Centre (MUHC) teaching hospitals .